Congratulations to Anna Genders who passed 1st time with just 2 minors. 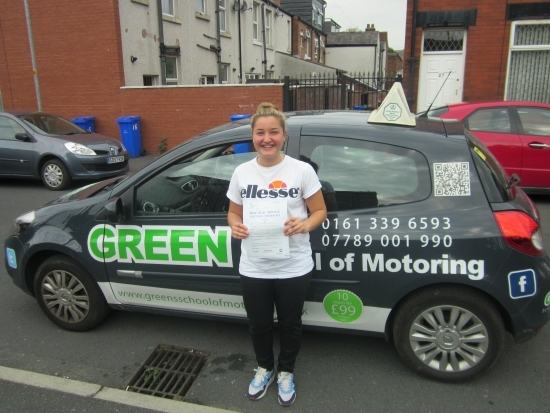 Anna is one of those students who has learned to drive in months because she came out for every lesson wanting to learn, never cancelled, listened and enjoyed herself. She is now off to America to coach football. Be safe Anna, you were a joy to teach. Green School of Motoring As I said Anna, you were a joy to teach.